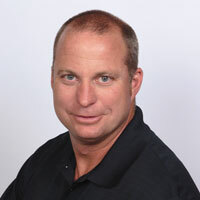 EVANSVILLE, Ind., July 8, 2013 — Sigma Packaging*, an Evansville-based international broker of pre-owned packaging and processing equipment, has hired Craig Knapp as Acquisitions Specialist. In this newly created position, Knapp will be responsible for leading the company's purchasing efforts, directing the growth of the Asset Management and equipment consignment programs, and working with customers to reclaim value from their excess machinery. As acquisitions specialist, Knapp will represent Sigma Packaging* while conducting on-site evaluations of current and potential customers' surplus equipment. Acting as liaison between clients and the used equipment marketplace, he will advise customers on their options and assist with the listing and selling processes. "There are two main reasons I chose to pursue a career with Sigma," said Knapp. "Number one is that they are a growing company. Number two, and the most important, is the company's culture. The team really cares about each other and knows that if we all succeed on an individual level, the team will be successful as a whole." Before joining Sigma Packaging*, Knapp worked for Berry Plastics, a global manufacturer of plastic packaging products. He served as an Assistant Group Leader for their Rebuild Division and was responsible for managing the corporation's product tooling projects for more than 80 manufacturing facilities.